Home / Blog / Bone Marrow Transplant / How painful is bone marrow biopsy? How painful is bone marrow biopsy? Let us start with the most basic question: what is a biopsy? “Biopsy” is a type of invasive diagnostic and therapeutic procedure which involves the extraction of cells or tissues or a suspected mass from the body to examine it under the microscope. It is the most reliable way to confirm the diagnosis, type, and extent of cancer in the body. What is Bone Marrow Biopsy? Let us now come to the main topic. Bone marrow biopsy is an evaluation procedure in which the marrow tissue is obtained to be studied under the microscope. It is done to evaluate the different types of blood cells and the structure of the marrow. Doctors advise a bone marrow biopsy when they find the discrepancy in the levels of WBCs or RBCs or platelets in the blood. It gives them a fair idea of the reason for this kind of discrepancy. A bone marrow biopsy has proven to be an effective diagnostic tool for various kinds of marrow and other blood cell-related disorders. Why is the Bone Marrow Biopsy done? Due to the reliability and sensitivity of the test, a bone marrow biopsy is considered to be a “gold standard” test for diagnosing and confirming any marrow related disorder. There are several conditions for which it is indicated. Mostly, it is used in diagnosing and determining the various types of blood cancers such as the Chronic Myeloid Leukaemia (CML), Multiple Myeloma, Lymphomas (both Hodgkin’s and Non-Hodgkin’s) etc. Also, it is done to find out the cause of severe persistent anemia, pancytopenia (decrease in the number of all three types of blood cells, namely, red cells, white cells, and platelets) or abnormal count of any of the three blood cells. Marrow biopsy can sometimes prove useful to “evaluate a fever of unknown origin”, or to investigate abnormal bleeding or clotting times, to identify rare genetic diseases and some stem cell disorders and to monitor the iron overload conditions. How is Bone Marrow Biopsy done? Bone marrow biopsy is a fairly regular procedure with very fewer side-effects. The most commonly used sites for obtaining the marrow are the large pelvic bone near the hip (posterior iliac crest) and breastbone (sternum). In kids, marrow is generally taken from the shin bone (tibia). The actual procedure of the bone marrow biopsy consists of two parts: the marrow aspiration (which obtains the sample of the liquid portion of the marrow) and the bone marrow biopsy (which is concerned with obtaining the solid portion). The biopsy can be performed in a hospital setting or a pathologic lab by the trained personnel. The patient is made to lie on the side or on their back and then the area is numbed with a local anesthetic agent. The doctor inserts the needle and at this time the patient may experience sharp pain. The needle goes into the bone and extracts the bone marrow. The site is bandaged and the patient is good to go. What needs to be kept in mind while undergoing the Bone Marrow Biopsy? The patient should give a detailed and clear medical history to the doctor before getting started with the procedure. This should include any medications or allergies, any history of bleeding disorders, pregnancy status, or anxiety issues. The patient should be calm and composed during the procedure. 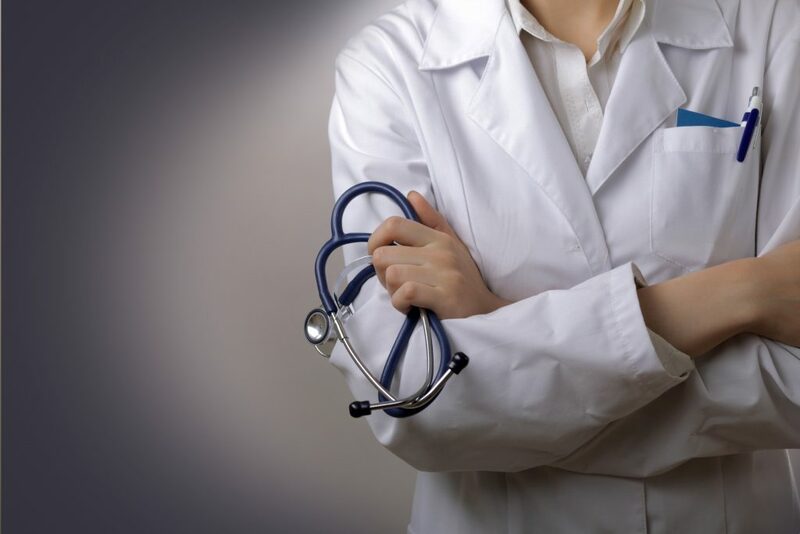 All the doubts or issue the patient might have should be taken care off by the physician in a satisfactory manner. What are the risks associated with the Bone Marrow Biopsy? As we already stated, bone marrow biopsy is a simple procedure. It can be performed without any difficulty with the help of a well-trained staff. But as we know nothing in this world is risk-free. It is reported that less than 1% of patients have suffered from some kind of complications with bone marrow biopsy. Some of the common problems associated with the procedure are the allergy to anesthesia, infections or chronic pain. The major risks are haemorrhaging or excessive bleeding. We believe we should address the particular side-effect of the procedure: “the chronic pain”. Ideally, on an average pain related to the procedure is short-lived. According to some studies, the duration of pain is said to be associated with the duration of and difficulty during the procedure. A reduced level of anxiety and increased awareness of the procedure goes a long way in improving the outcomes.